Russell Mulcahy is one of Australia’s best-known directors, though these days his name doesn’t come up all that often in conversation. He directed Highlander (and yes, Highlander 2) and a massive number of music videos in the 80s: while his name might not instantly come to mind there’s a very good chance you’d recognise his style if you saw it. And even now, there’s a very good chance you’ve seen it: if you’ve seen a Duran Duran music video he almost certainly directed it, he did a swag of Elton John videos, plus clips for everyone from Billy Joel to Paul McCartney to The Rolling Stones to Queen to AC/DC to a whole lot of bands best forgotten. He was no slouch when it came to movies either: aside from the Highlander films he directed Ricochet (trust me, it’s good), The Shadow (ok, maybe not so good), Resident Evil: Extinction (hmm) and then nothing since 2009’s little seen Give ‘em Hell, Malone. For the last few years he’s been busy in television (largely on the MTV series Teen Wolf), which is why it’s such a surprise – and thankfully, a pleasant one – that he has a new film out in cinemas next week. 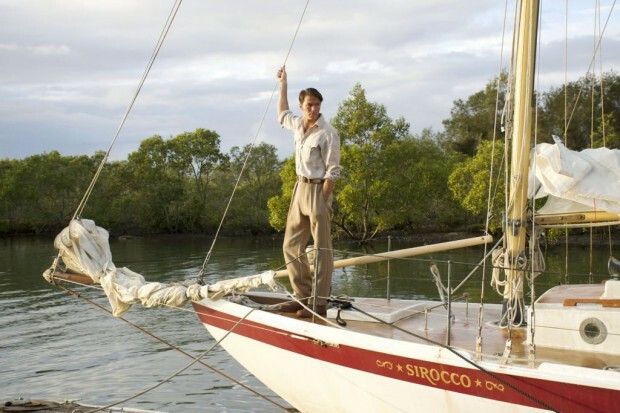 In Like Flynn is based on the historically somewhat iffy memoir (ghost-) written by Errol Flynn recounting an expedition from Sydney to New Guinea with three friends in search of gold. It’s a throwback adventure tale not dissimilar (especially early on) to the Indiana Jones films, though things settle down a little when young Flynn (Thomas Cocquerel) returns to Sydney after his opening New Guinea adventure to organise a return, teaming up with burly Canadian Rex (co-writer Corey Large), and an English fop nicknamed “Dook” (William Moseley) to take a fishing boat they don’t exactly own back up north. On the way to make their fortune they encounter various shady types (including David Wenham) and collect a salty sea dog (a scene-stealing Clive Standen). For the most part it’s a rollicking good time, though it does have its serious side; Mulachy hasn’t exactly mellowed as a director, but he is a lot better at the character side of things than he was starting out. If you want proof, just check out his first feature film Razorback, which has recently received a very impressive special edition release on blu-ray. Known somewhat dismissively to some as “the killer pig movie” – and yes, it is about a killer feral pig terrorising the outback – almost 35 years on this thriller (which owes a very heavy debt to the original Jaws) seems a lot less cheesy than it did back in the VHS days (and the new blu-ray actually features a copy of the uncut VHS version). The pig effects aren’t exactly state of the art (and they weren’t back then either), but the film has atmosphere in spades (and not just from the smoke machines running all night), giving it a strange dream-like feel for much of the run time that helps gloss over a script that perhaps isn’t quite as fresh as the visuals. It’s a movie where a giant pig eats someone by pulled a (closed) door off a car: what’s not to like?